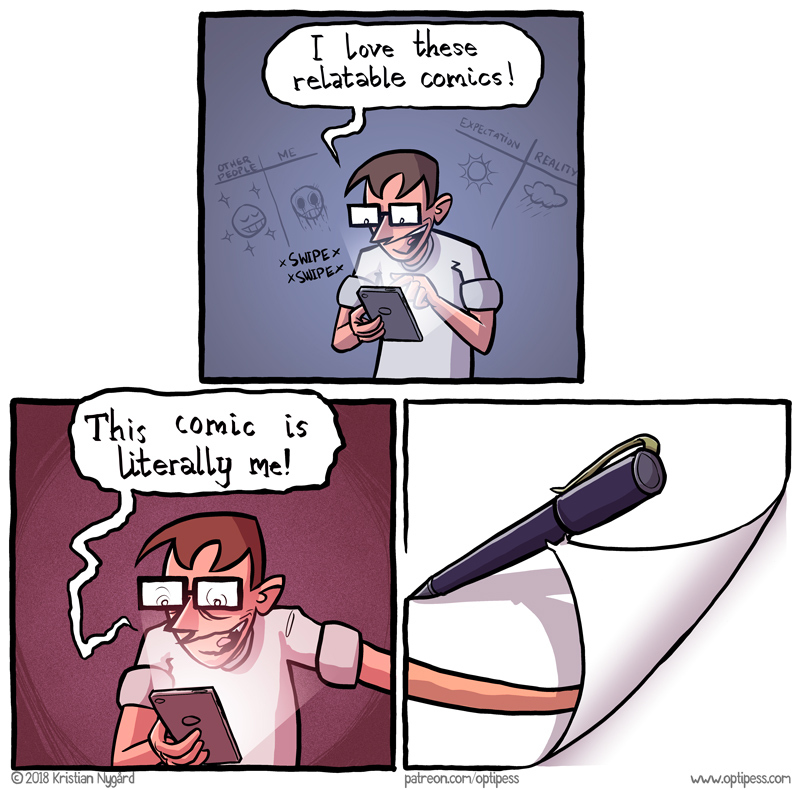 This comic is definitely probably a reaction to being swamped with thousands of these garbage comics on Instagram. Brrr, spooky! Btw, full disclosure: This comic is completely bought and paid for by the Clinton Foundation. 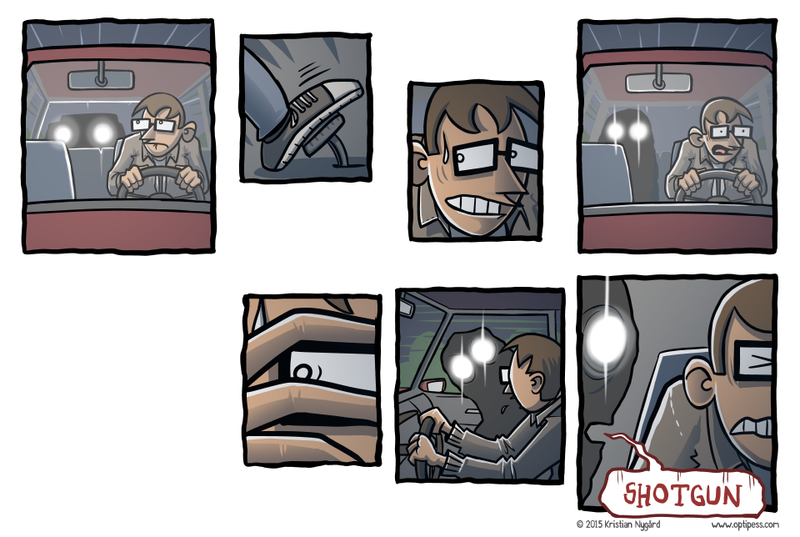 Oh yeah, I guess this comic was inspired by the M83 song “Car Chase Terror”. Listen to it while reading! 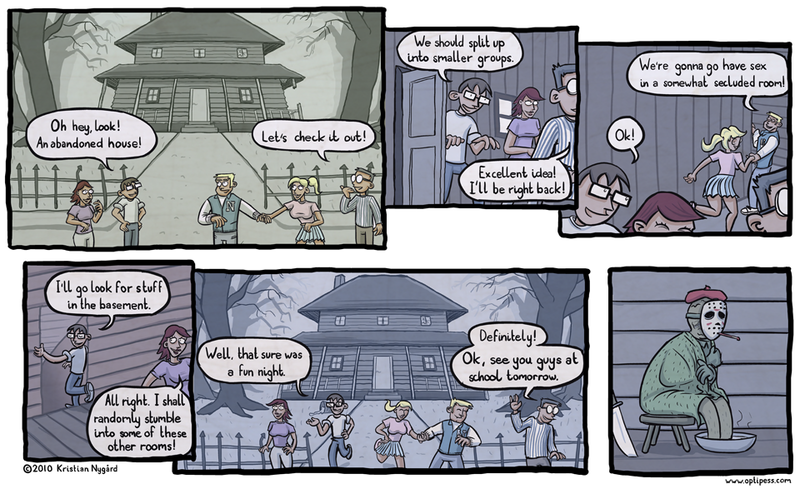 Here is a comic strip! It arrives even though Manga Studio crashed on me and I lost 45 minutes of work. Every cartoonists’ dream! I also lost my entire screen capture of this comic, so it’s not going up on Patreon, unfortunately. Oh hey, speaking of Patreon – go here to support me anyway. 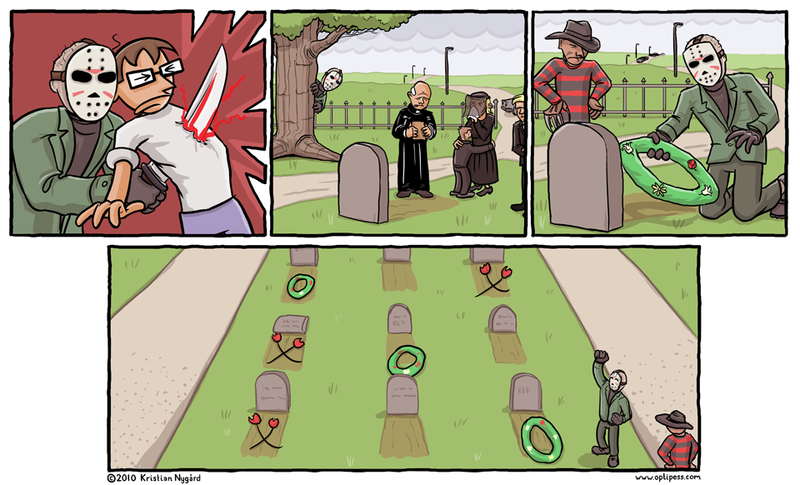 Behold this comic as it comicly waggles into your peripheral vision. Aw. But don’t worry. He’ll be feeling much better when they inevitably return next week.